Great experience overall, closing went perfectly and was very happy with the service your team provided. I recently purchased my first home with a mortgage through Secured Funding Corp. The agent I worked with offered his advice on each available option that I had and he quickly answered all of my questions with assurance of the outcomes. The agent was always in reach when I needed his advice and was patient knowing that I was a first-time home buyer. He is at all times a professional and I will certainly recommend him to my friends and family. Leroy and I just recently moved into our "Dream Home". We have to thank Secured Funding Corporation for this special gift. They worked very hard with us and the end result was well worth the wait. They were very professional, but yet very "down to earth". The agent was available for our questions and concerns either by phone or email. He made this experience one that we will never forget. SFC worked with my family in finding and securing the best mortgage for our first home. He patiently, thoroughly and quickly answered all of my many questions, and helped me to feel much more comfortable with the process. When our short sale became complicated and threatened to fall through, Todd kept us informed with the progress and fought hard to make sure that everything went as planned - it became a lot of work for a very small loan, but they fought for us and made sure everything worked out as we had hoped and planned. I'm not sure our sale would have gone through without their attention and dedication. I would strongly recommend SFC to anyone I know, especially for first-time home buyers that need a responsive, organized, patient and clear guide through this complicated process. I used SFC in the purchase in my 3rd home purchase and I could not have been more impressed with him. The previous loan officers just wanted me to sign on the dotted line and be done with me ( they were awful my last one I about punched in the face). SFC took the time to explain to me about different loans and which one would work best for my needs and what made the most sense financially. I felt like my loan was the only one he was working on during my process and he took the time to have lengthy phone conversations about strategies to locking in my rate and factors that affect interest rates. SFC answered all my calls or got back to me very qickly and would always email back very qucikly with any questions. SFC is definitely a rarity in his business, I felt very comfortable with SFC and knew he was on top of everything. I would have him do a loan for my grandma. Disclaimer: I am not a family member or close friend of SFC; I meet him at an open house and he followed up and called me the next week. I completed my first ever home loan with SFC. They offered exceptional service from start to finish. They patiently and thoroughly explained the loan process, discussing various loans option and working me through all the numbers to come up with a solution that served my best financial interests. Moreover, he carefully went through my paperwork so that all administrative items were in order before closing, making the entire home loan experience transparent, easy and with minimal impact to my schedule. 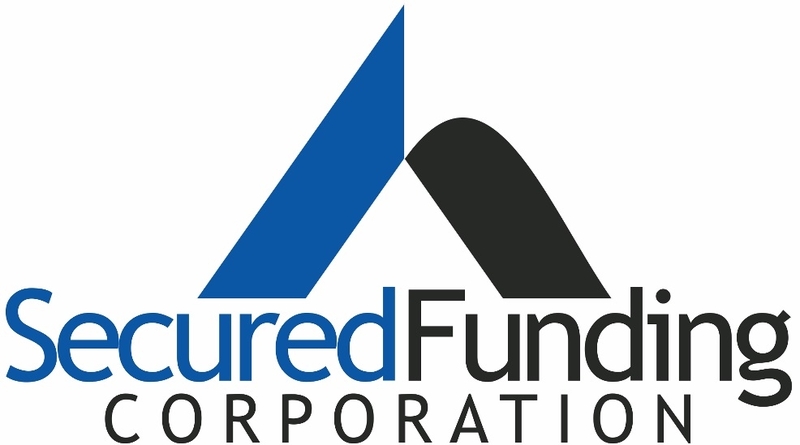 Secured Funding Corporation is a professional organization with great customer service, attention to detail and a genuine desire to provide you with the best financial product that suits your specific needs. I couldn't be more satisfied. I've actually turned to Secured Funding to refinance my home at historically low rates. I give Secured Funding Corporation my highest recommendation. I send my clients to Ryan because he is so good at preparing them for the numbers, costs, and steps in the process. He is also a great communicator, which makes everything so much easier for me and my clients. I will continue to refer my business to Todd for this exact reason. He really looked out for my client's best interest. I worked with him as the listing agent on a transaction and was so impressed I began sending my buyer leads to him. His communication was top notch. Secured Funding Corporation does such a good job with my clients and my trust in him is so high that I use them for all of my personal loans as well. I trust them 100%. I just wanted to extend my gratitude for all that you have done for me in the refinancing of my home. The speed of which surprised me as well. All was very painless, in fact a breeze. I am sure you have been thanked by many in your career. As a first time homebuyer I was very reluctant to trust a mortgage professional. They walked me through the process and made sure I understood every aspect of the process. He stated, "We want to earn your business for life, we want you to be an educated client so that you completely understand the process." Once I heard this I knew my good friend had referred me to the right people. I received an education in mortgages along with a great deal on the purchase of my new home. Thanks SFC, you earned my business for life! He was upfront and honest. He seemed very concerned about getting us into our first home. He even showed us a way to boost our credit scores which helped get us a better rate. This transaction seemed so easy compared to the last time I bought a house. Thanks so much for making this a smooth transition for us. You and your team were great! Lindsey S. and Jason W.